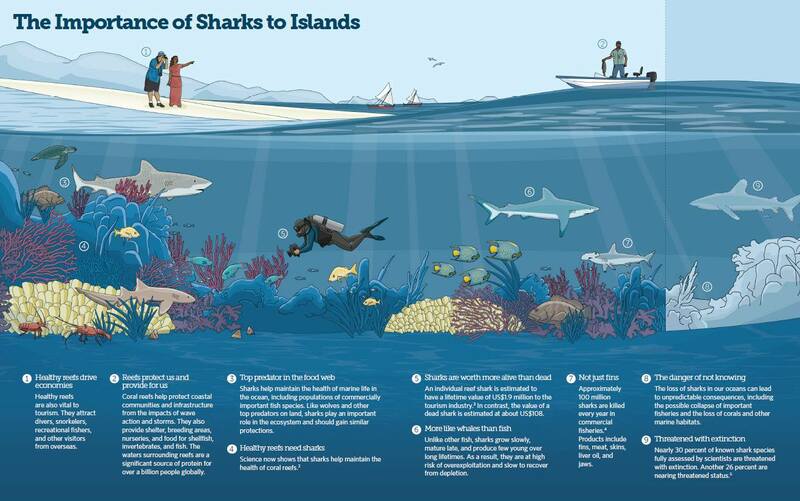 SURPRISING STATS – SWIM WITH SHARKS NOT HIPPOS! 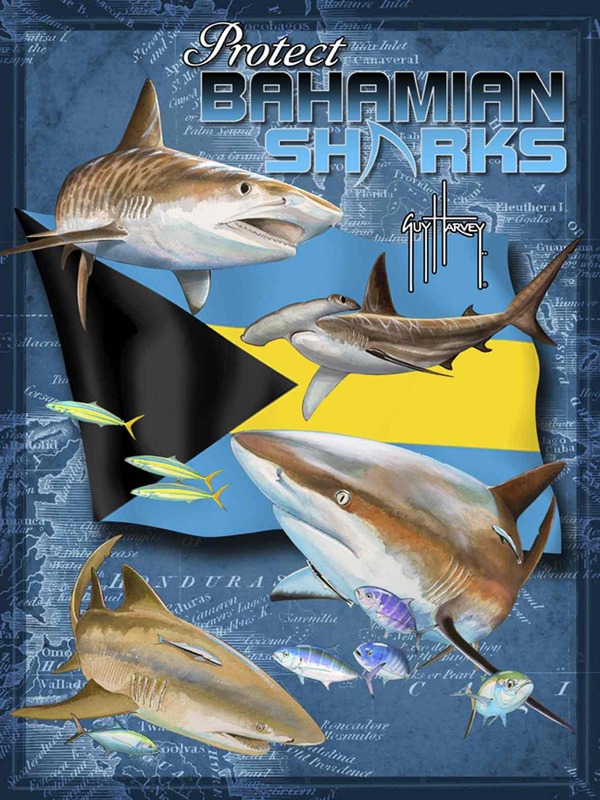 Take comfort from the fact that no fatalities and only half a dozen injuries from shark attacks have been recorded in Abaco waters for over 250 years (since 1749). Risk assessors and the nervous, take note. Since 1845 there have been a number of shark attacks in British waters, with one fatality. There were two more fatalities in an incident in 1956 , but this was an ‘own-goal’ arising from an attempt to blow up a shark with dynamite. It can hardly be blamed on the shark. WEIRD NON-SHARK RELATED STATISTIC: Amazingly, in the 3 years 2007 – 09 in England and Wales, 42 people died from being bitten by animals, only a few of which were dogs. CONCLUSION You are statistically far safer to spend 250 years swimming off Abaco than spending 3 years stroking a cat in Manchester. Or Swansea. 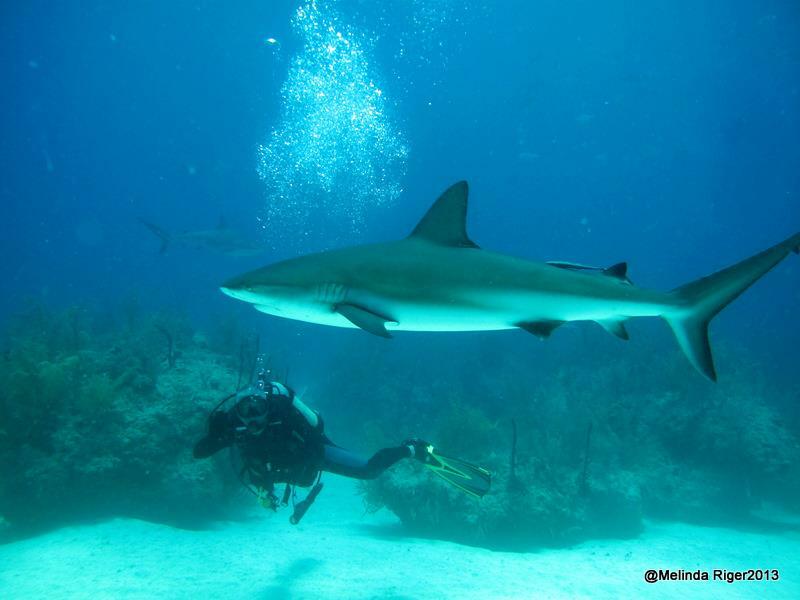 All fantastic images by Melinda Riger of Grand Bahama Scuba who swims with sharks all the time! You want to avoid treading on one of these if possible. Their tails have a serrated barb covered in venomous mucous, used for self-defence. These spines are not fatal to humans, but if you step on one it may be an experience in extreme pain to tell your grandchildren about. 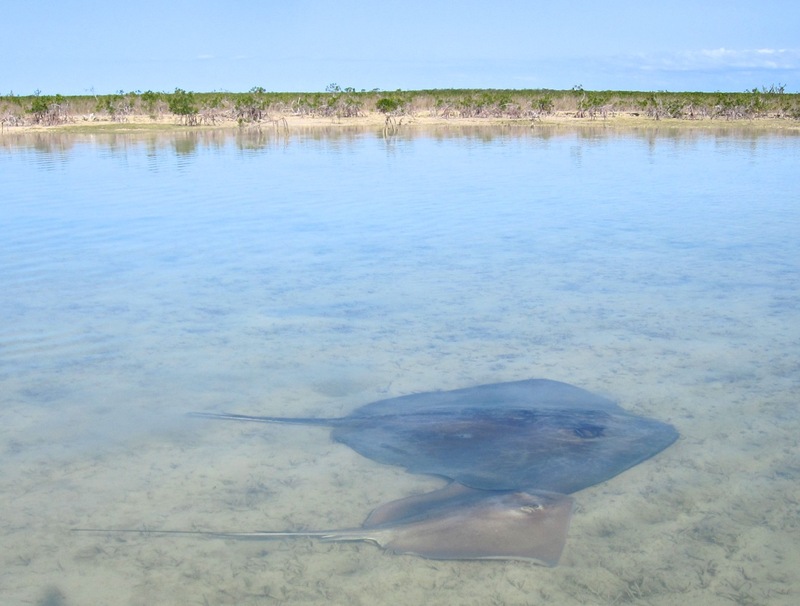 Surprisingly, the ‘at risk’ status of the Southern Stingray is not known. 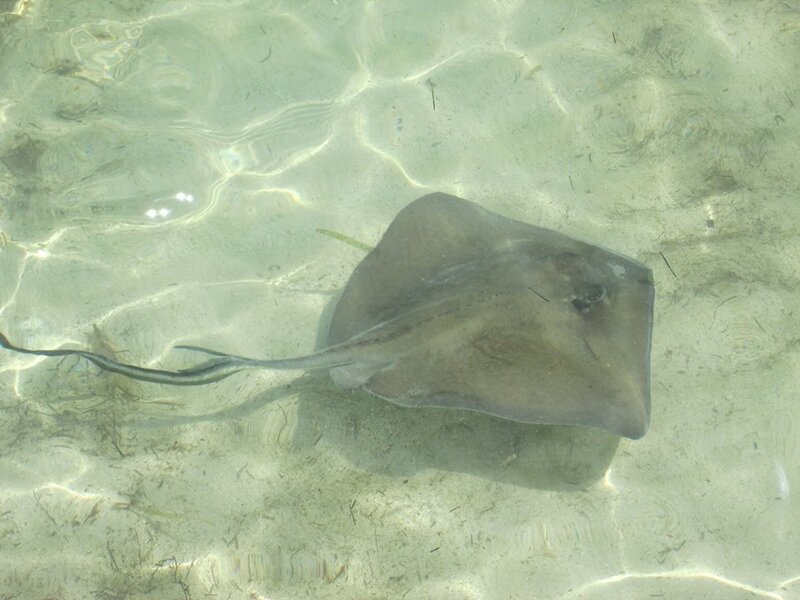 However, as with other marine species that humans like to befriend in the wild for the perceived benefit of both parties, there are parts of the Caribbean where stingray swims involve rather more than merely swimming with and enjoying the rays in their own environment. There is organised hand-feeding with cut-up fish, even general fondling and cuddling, that can make these wild creatures seem ‘tame’. 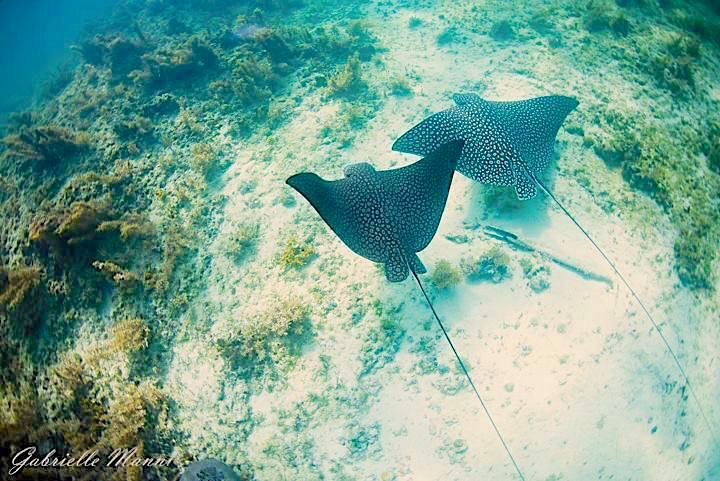 There is growing concern that such close dependent interactions with humans is not a good thing, at least for the stingrays. Music credit on my vid to the fairly litigious Joe Satriani – see JS v Coldplay ‘If I could Fly’ / ‘Viva La Vida’ plagiarism case (settled, to no one’s great advantage). Hey, Joe, what you doin’ with that writ in your hand? 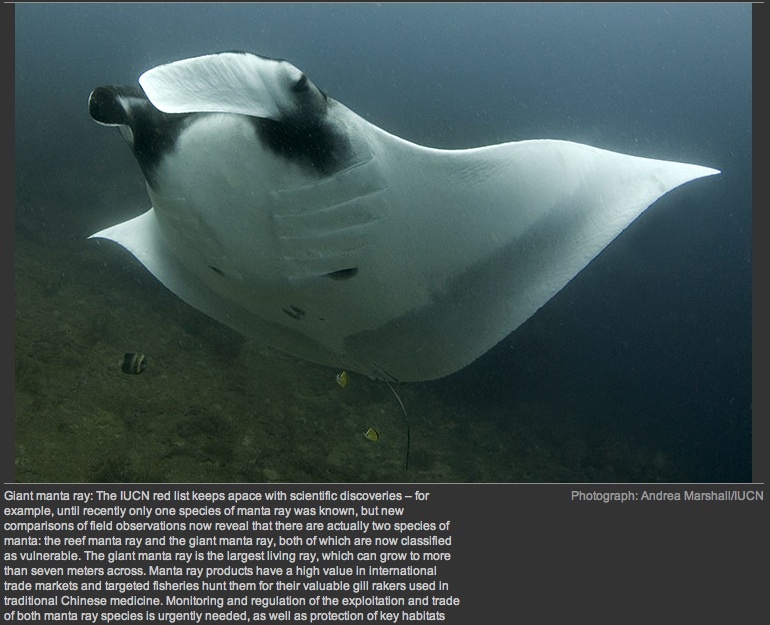 For anyone the slightest bit interested in the alleged similarities, here is a mash-up reward for reading about stingrays. Or penalty. 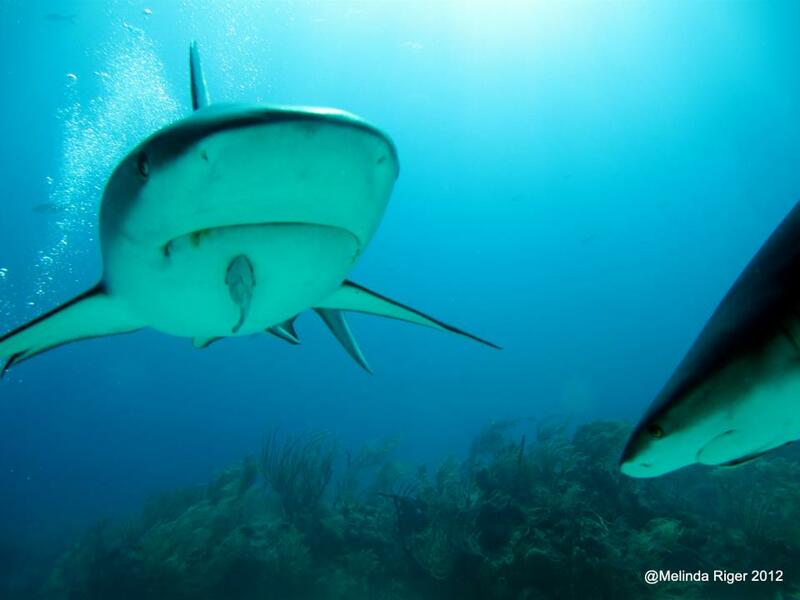 Do Sharks Really Have Personalities? 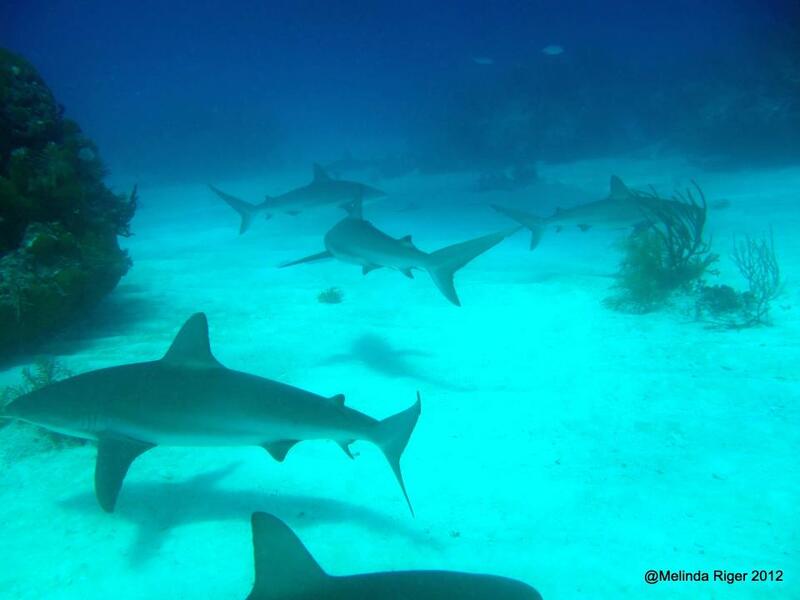 A nice summary article on the burgeoning field of “animal personality”, using an example of lemon shark research conducted at the Bimini Biological Station. Here is a technical summary of the current state of the field of “individual specialization”, i.e., the occurrence of specialized individuals within a generalist population. 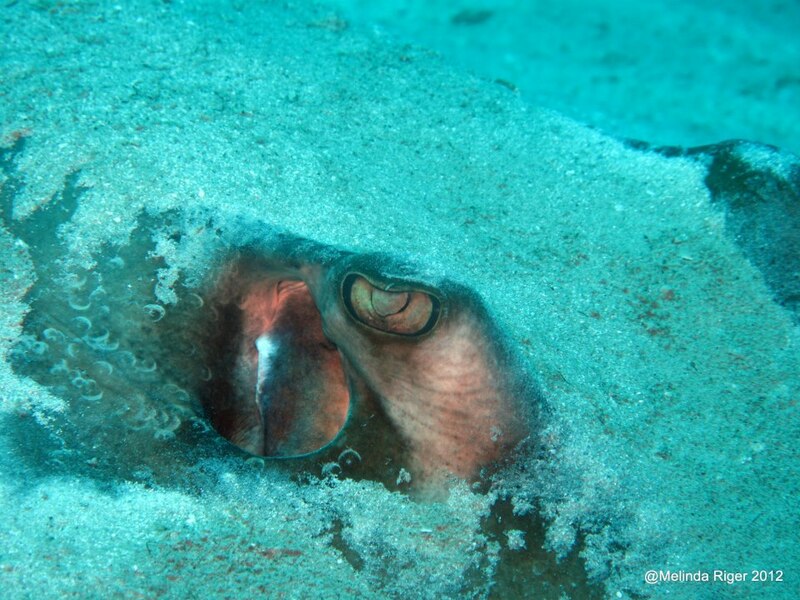 For instance, one may consider a species like a gray (mangrove) snapper to generalist feeders, in that they eat so many different types of prey items ranging widely from small shrimp and crabs to many species of fish. But a closer examination of populations suggest that individuals within that population may specialize on certain prey items; some individuals eat only crabs whereas other individuals may eat only shrimp. This specialization likely arises from trade-offs in feeding ability. That is, learning to become an effective feeder on fish, compromises ability to feed effectively on crabs. Such within species specialization seems to be very widespread in nature, in everything from plants to primates. The paper linked to above summarizes the current state of knowledge on this ecological phenomena. Another one of our recent papers also touches on this topic indirectly, using chemical signatures representing tiger and bull sharks diet to infer the degree of individual level diet specialization. 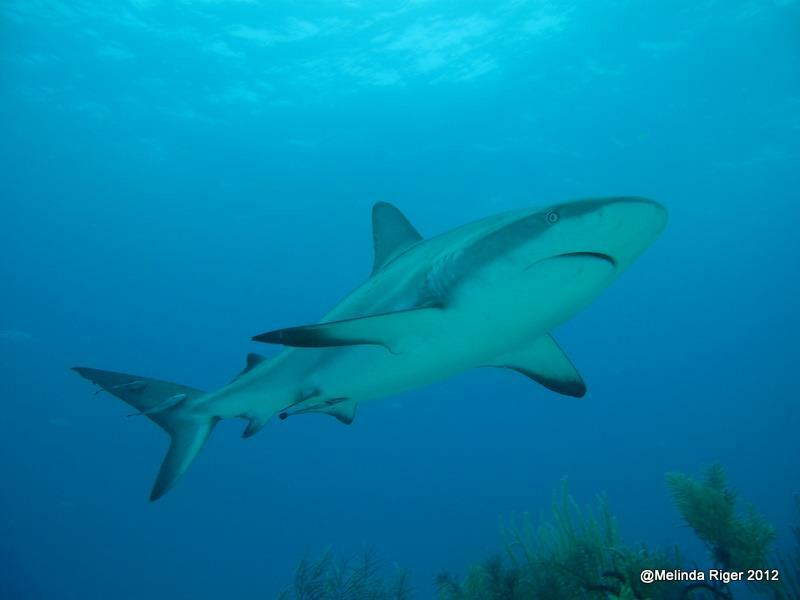 Methods may be tough to follow, but the Discussion outlines why some shark species may have individuals with distinct “personalities”, and others not. 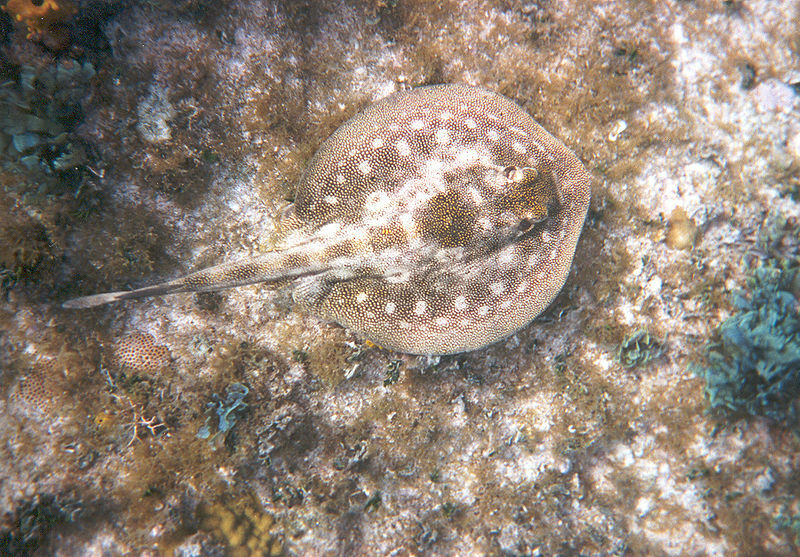 The YELLOW STINGRAY (Uboratis jamaicensis) is one of several ray species found in the tropical western Atlantic ocean. 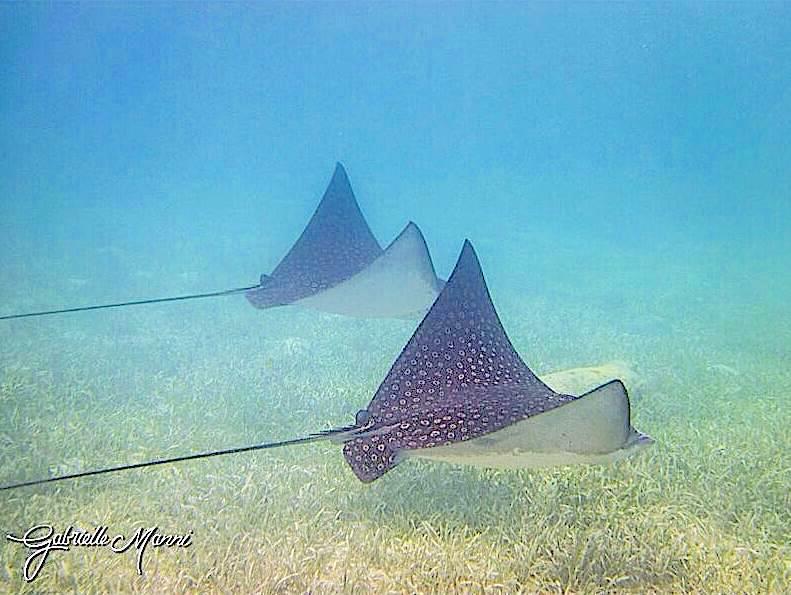 They live in shallow water on sandy or seagrass bottoms, and are commonly found near coral reefs. 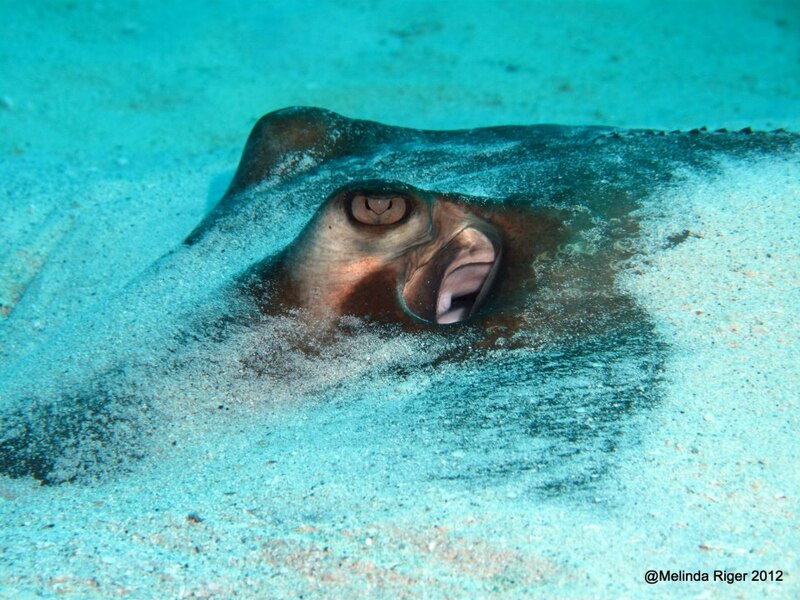 Their light and dark splotchy colouring can rapidly change according to the surroundings and the need for camouflage. Look at the photos below with half-closed eyes and (apart from knowing perfectly well that there’s a ray there), the blending in is remarkable. 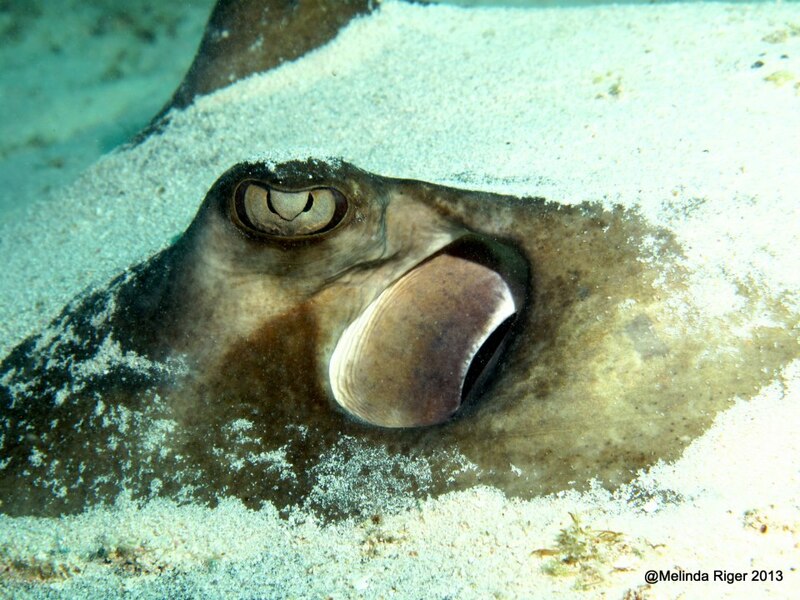 The yellow stingray feeds on small invertebrates and fishes. 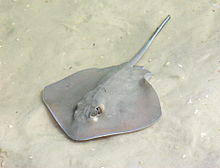 It can use its ‘wings’ to uncover buried / hiding prey by disturbing the sand. It also has a subtle ‘passive’ method of hunting by using its mantle to form a lethal ‘cave’ that attracts shelter- or shade-seeking prey. 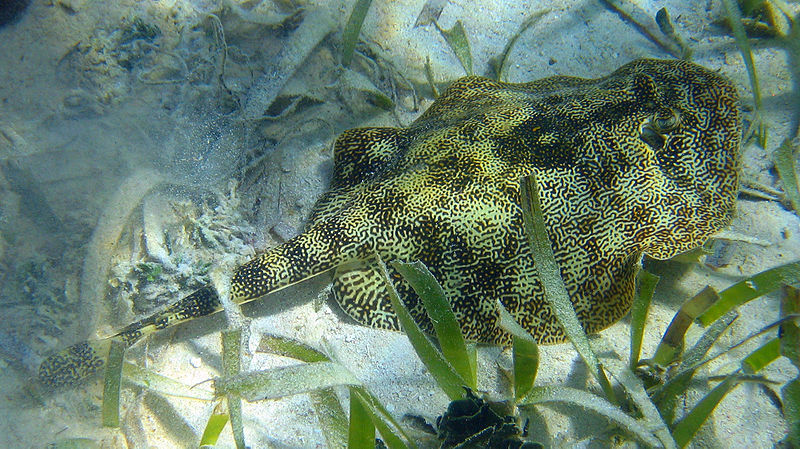 Yellow stingrays breed in seagrass. They are quite prolific, breeding year round and usually having two litters a year of up to 7 young. This species is ‘aplacental viviparous’: the developing embryos are sustained initially by yolk and later by uterine milk. To find out more about viviparity, you’ll find a section at the bottom of this post where the inquiring may opt in… Not everyone’s sac of yolk, I quite understand. 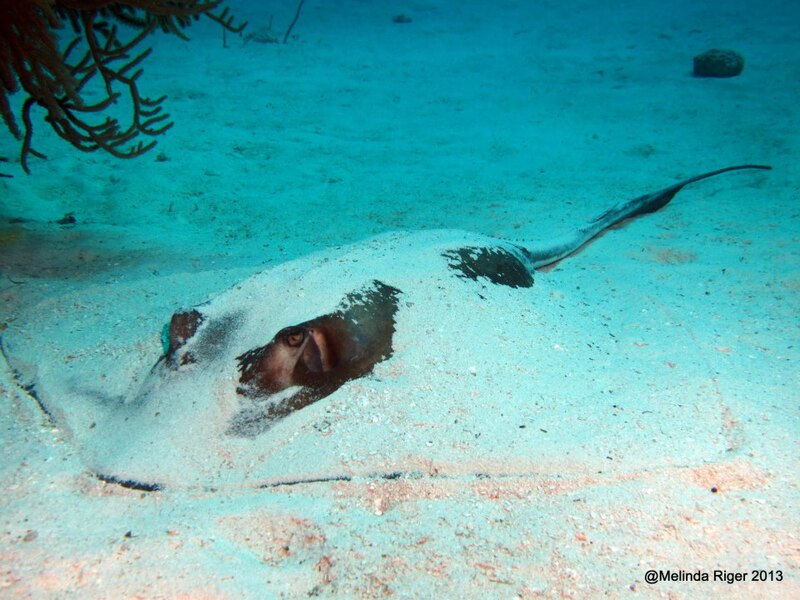 The yellow stingray is innocuous towards humans, but can inflict a painful injury with its venomous tail spine. 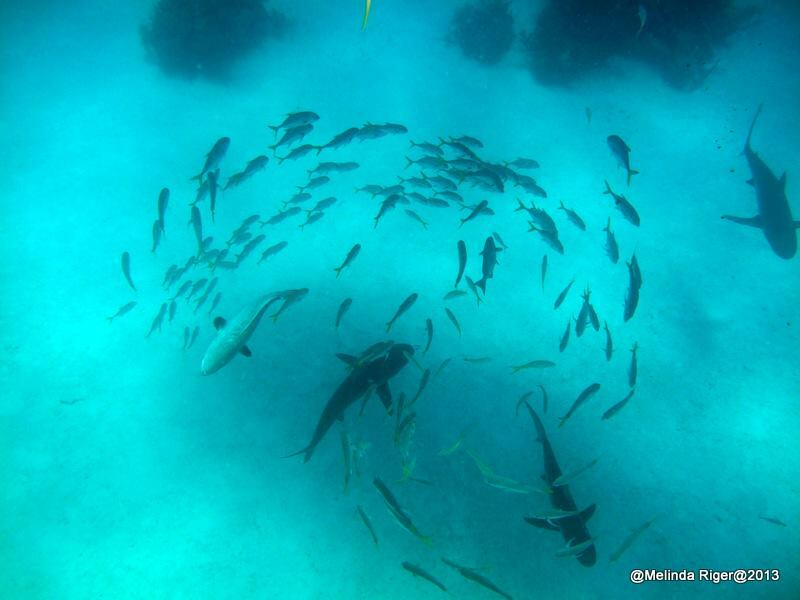 The threats to the species are (1) taking as bycatch by commercial fisheries; (2) collection for the aquarium trade; (3) negative impact from habitat degradation, both of reef areas and seagrass breeding grounds. For now, it remains common and widespread and retains its IUCN LISTING of ‘Least Concern’. 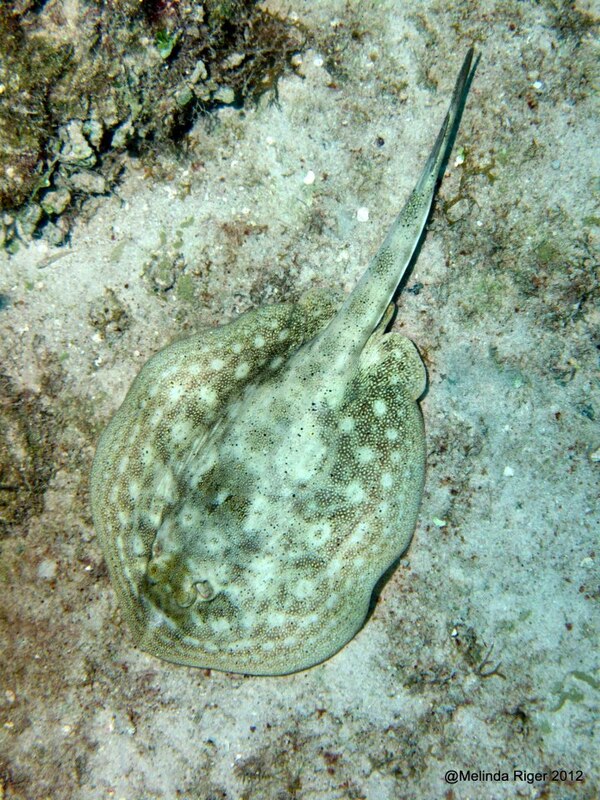 As with all elasmobranchs, skate and rays are internal fertilizers. Internal fertilization is beneficial because it increases the likelihood and efficiency of fertilization by reducing sperm wastage. In addition, it ensures that the energy-rich eggs produced by the female are not consumed by predators, and that all the energy allocated to reproduction is passed to the embryos and not lost to the environment. This is especially the case for species that retain their embryos until the embryos have completely developed, a reproductive mode termed viviparity. Elasmobranches that practice viviparity are called viviparous (or live-bearing). There are many types of viviparity, which can be divided into two broad categories: aplacental and placental viviparity. Placental viviparity is the most advanced mode of reproduction, during which the embryos are initially dependent on stored yolk but are later nourished directly by the mother through a placental connection. This type of reproduction is not exhibited by any type of batoid. 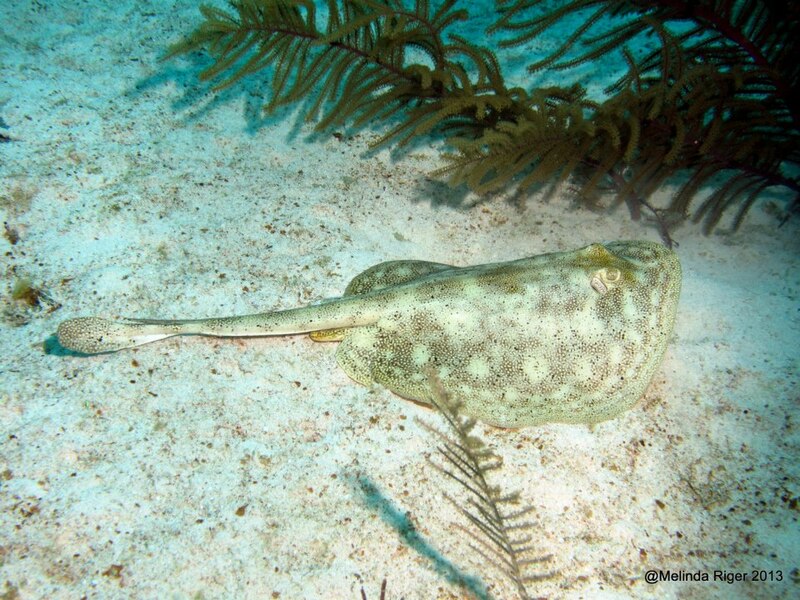 Ovoviviparity (or aplacental viviparity), on the other hand, is the only mode of reproduction employed by rays. In rays, the embryos rely on the substantial yolk within the ovulated egg only during the initial stages of development. After the nutrients stored in the egg have been consumed, the embryo ingests or absorbs an organically rich histotroph (or “uterine milk”) produced by the mother and secreted into uterus. The most highly developed of these strategies occurs in some rays in which the lining of the uterus forms tiny, finger-like projections (termed trophonemata) that increase the surface area for histotroph secretion. 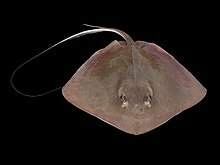 This form of nutrient supply (or maternal investment) results in very large offspring, which is characteristic of most species of ray. Are you ready to sink your teeth into Shark Week 2012? Here are 20 facts about shark teeth to get you started. Discovery Channel’s annual event looks like it will quite the extravaganza for its 25th year. Andy Samberg from Saturday Night Live has been brought in as the official ‘chief shark officer‘. I have my reservations about the summer ritual now as a marine conservationist (Read this article I resonated with last year “Should Shark Week Focus On Conservation?” from Care2.org), but love that it’s an event that brings people together and creates an interest in the marine ecosystem. I have many fond memories of my brothers, parents, and I slowing down at the end of summer to watch sharks in a way we never could from the shoreline. 1. Shark teeth are not attached to gums on a root like our teeth. 2. Sharks typically lose at least one tooth per week. 3. Sharks lose their teeth because they may become stuck in prey or broken and forced out. 4. Shark teeth are arranged in neat conveyor belt rows and can be replaced within a day of losing one. 5. Sharks average out to 15 rows of teeth in each jaw. 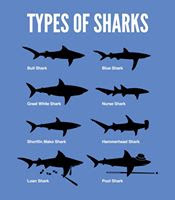 Although most have 5 and then there is the bull shark that has 50 rows of teeth. 6. Shark teeth are popularly found as beach treasures because sharks shed 1000s of teeth in a lifetime. Although, don’t get yourself in trouble if you decide to collect them. Recently, over 2,400 shark teeth were confiscated from a passenger in India (shark teeth are an illegal import prohibited under the Wild Life Protection Act of 1972). 7. Well after a shark dies and its body decomposes its teeth will fossilize. 8. Fossilized shark teeth are not white because they are usually covered with sediment (which prevents oxygen and bacteria from getting to them). 9. It takes about 10,000 for a shark tooth to fossilize. The most commonly found shark teeth fossils are from 65,000 year ago (the Cenozoic era). 10. 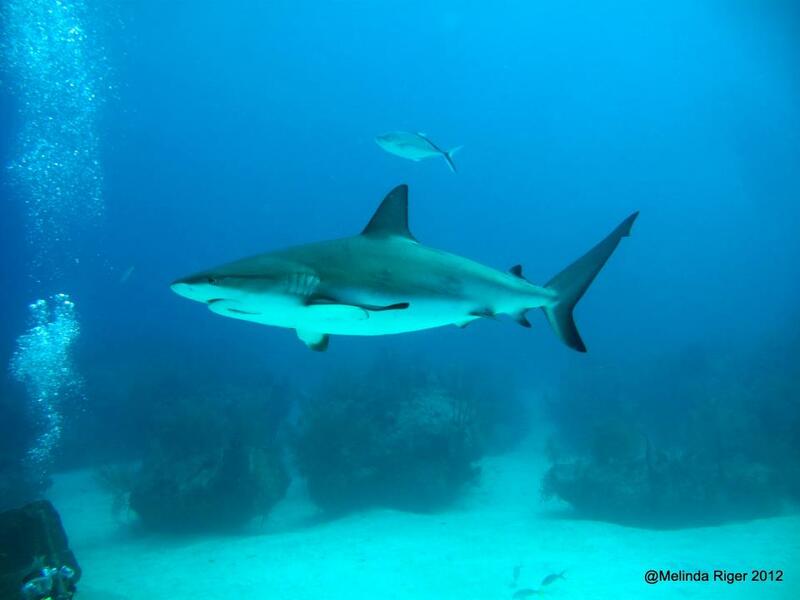 Venice, FL (on the Gulf of Mexico) calls itself the “shark tooth capital of the world”. 11. 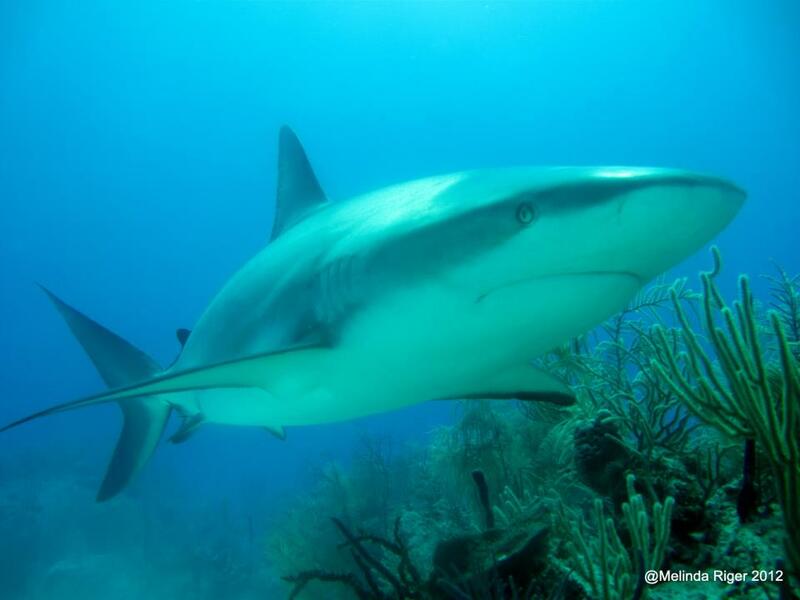 Sharks are born with complete sets of teeth and swim away from their mother to fend for themselves. 12. 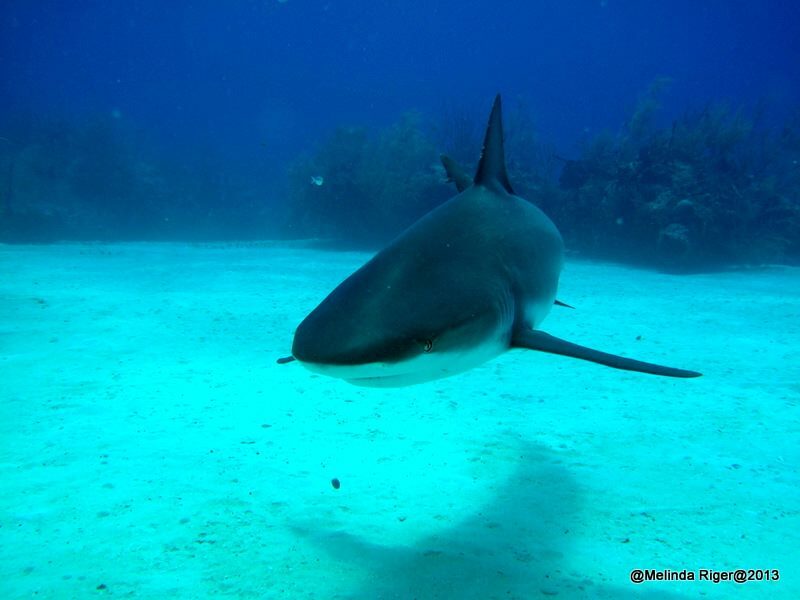 A shark’s tooth shape is dependent upon its diet. For instance, the shortfin mako razor like teeth tear flesh, the tiger shark has piercing teeth to cut flesh, and the zebra shark has dense flattened teeth because it feasts upon mollusks. 13. Whale sharks have 3,000 little teeth that are of little use. They’re filter feeders that find found by sift food through their gills. 14. The tooth of the megalodon range from 31/2 – 7 inches long and can weigh more than a pound! 15. Shark teeth were recently discovered to contain fluoride. 16. Sharks do not suffer from cavities. 17. The inside of shark and human teeth contains a soft mineral known as dentin. 18. The coating of shark teeth is acid resistant and less water soluble than our teeth. 19. Shark teeth and human teeth are equally as hard. 20. Even though many sharks have sharp teeth that could inflict a wound to humans, sharks should always betreated with respect. “No, sharks do not have bones. 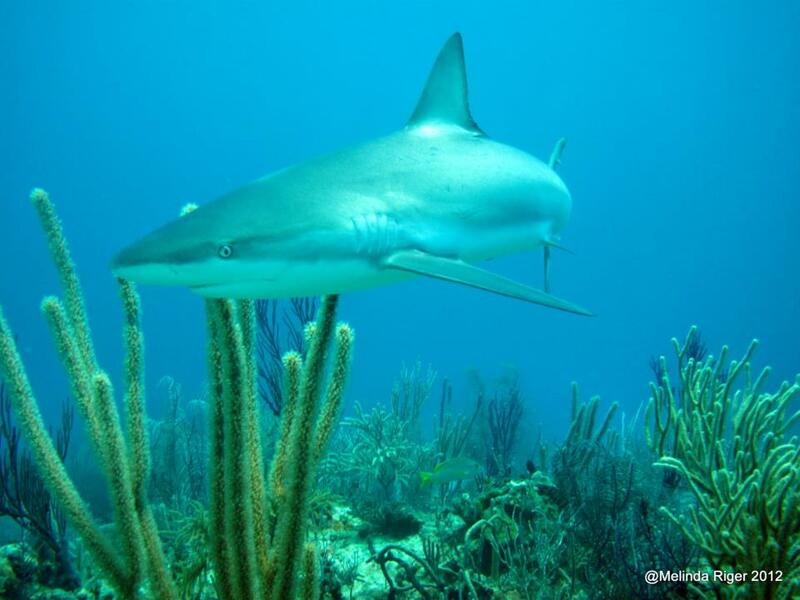 Sharks do have skeletons, but they’re made of cartilage rather than bone. Cartilage is the flexible stuff in the tip of your nose. A cartilage skeleton has its advantages. It’s light, flexible and it heals faster than bone. In some spots though, sharks need a little extra strength. Their skulls, jaws and spine are fortified with calcium salts, making them much thicker and stronger. 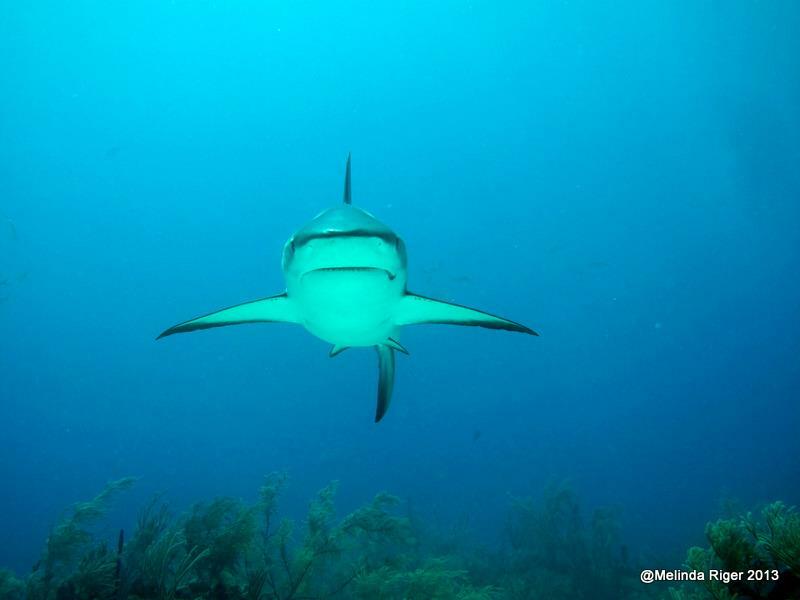 Can you think of why a shark would need strong jaws, skulls and spines? 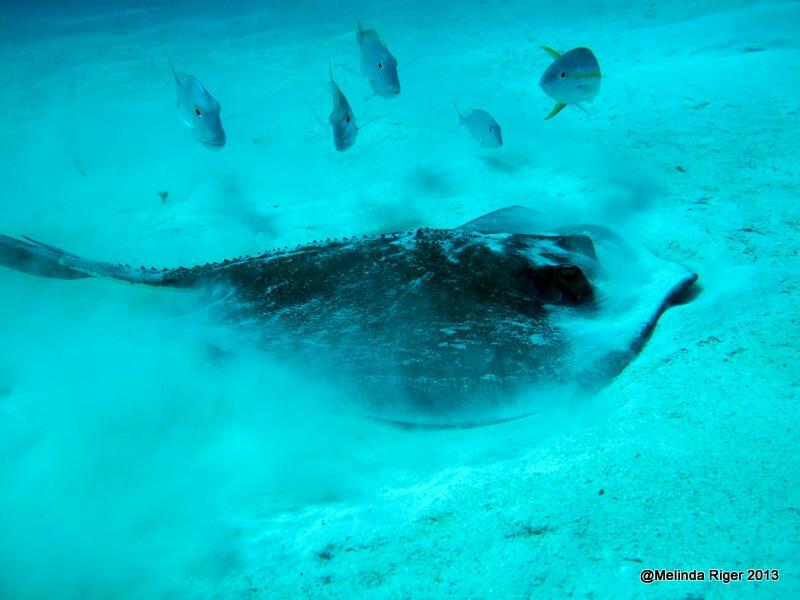 A while ago, I posted stills from a reef-snorkelling video – my first ever underwater video attempt, and indeed my first snorkel for about 40 years CLICK===>>> REEF FISH I started with a stingray, producing some rather… ok, very… modest results, but it was at least identifiable if you looked carefully and felt benign. This is an amazing post, RH. 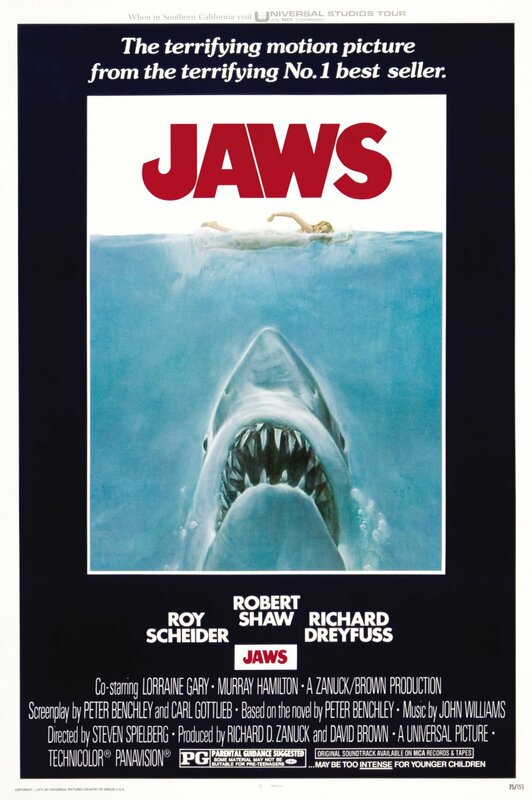 As an armchair underwater enthusiast both fascinated and terrified by the thought of being ‘under-the-sea’, the scary shark teeth facts are great and the ray videos are mesmerising. 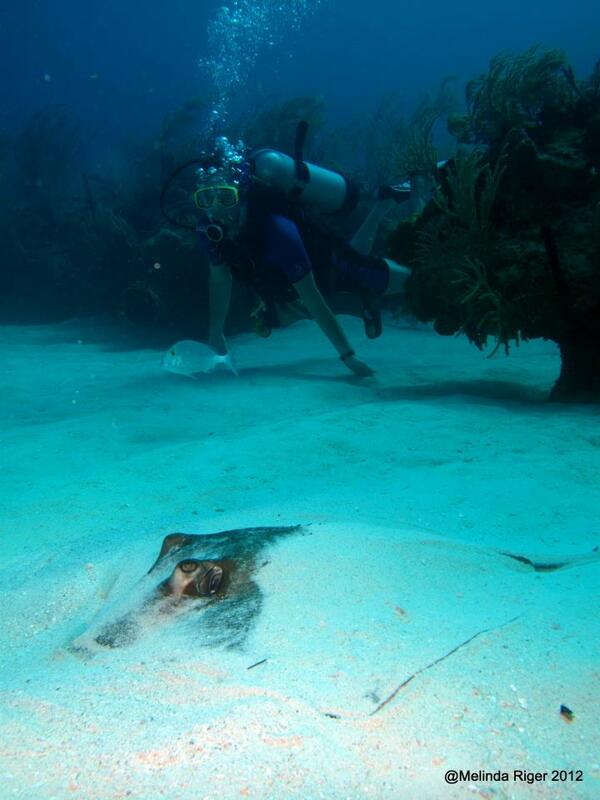 Are rays curious about divers? They always look like they are investigating the divers. Thanks for posting! 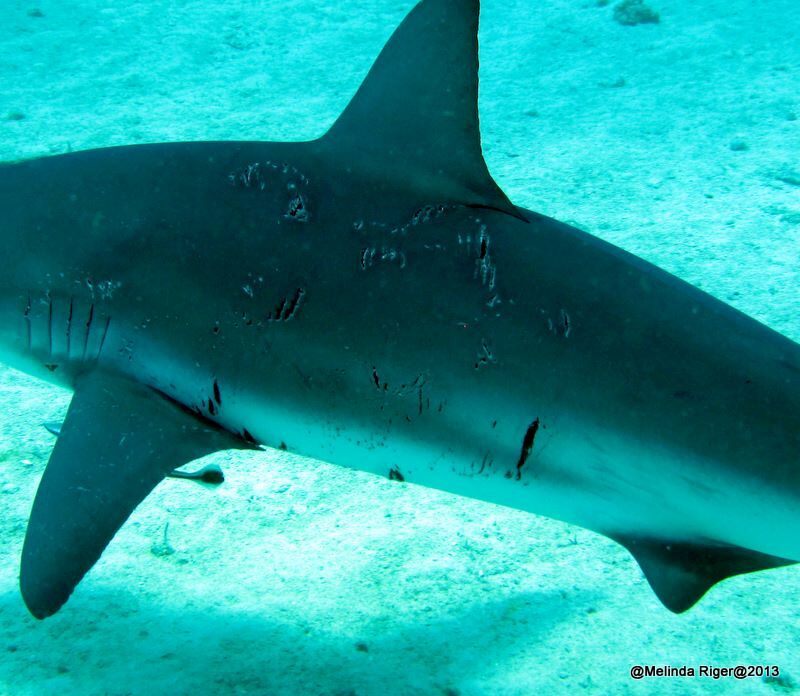 Finally ‘Shark teeth don’t get cavities’ – sharks really are bad!